Createspace Independent Publishing Platform, 9781539427643, 590pp. ..".impressive command of subject, Colby keeps the reader turning pages...old-fashioned cliffhanging drama. 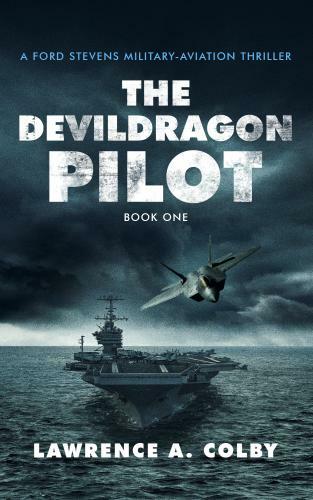 Lawrence A. Colby's experience as a military pilot shines through in his #1 Amazon bestselling Ford Stevens Thrillers. A graduate of both the US Navy and US Air Force Flight Training Programs, Colby is part of a select group of pilots qualified to fly jets, prop planes, and helicopters. He held numerous squadron, air group, and wing positions, flying multiple operational missions in Iraq, Afghanistan, and other global locations. He flew under the call sign "Cheese." Five years at the Office of the Secretary of Defense as a military assistant provided Colby with an extensive understanding of government policies and power-knowledge he uses to add political as well as military realism to his fast-paced military adventure thrillers. Colby lives in the Washington, DC, area with his family. He can be found online at ColbyAviationThrillers.com and through his Instagram and Twitter handle @ColbyThrillers.